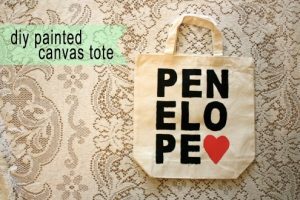 Designing your own canvas tote bag? 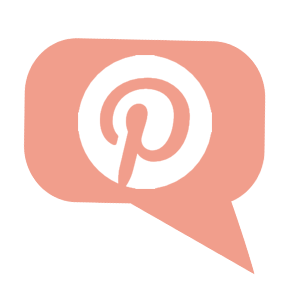 It’s an easy craft, and you’ll put your DIY skills to good use! 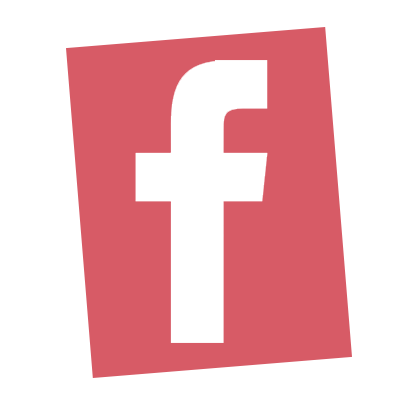 Print and iron this great graphic onto any canvas tote bag. 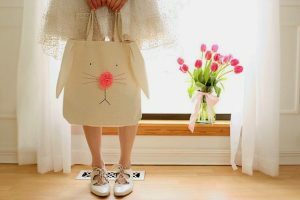 Gather eggs at the Easter egg hunt with this adorable Easter bunny bag. 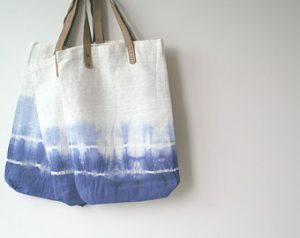 Customize any canvas tote bag with some unique dip-dye action. Whatever you choose to do, try doing it with an eraser!! 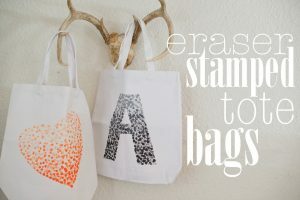 Using any stamp you choose, dip the stamp into acrylic paint and stamp away on that canvas tote bag! Making bags for the whole gang? 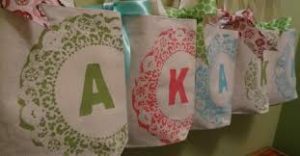 Monogram them to remember which bag belongs to whom! 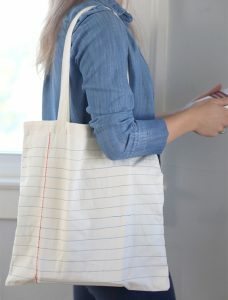 With a few straight lines and a couple of thread changes, you can make this adorable notebook bag. 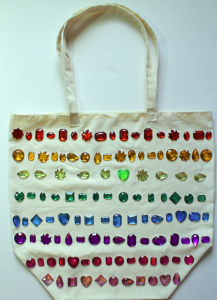 Bedazzle the heck out of that bag with rhinestones. 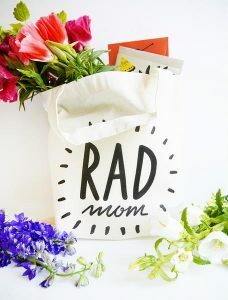 Customize your tote with your hand-painted name. 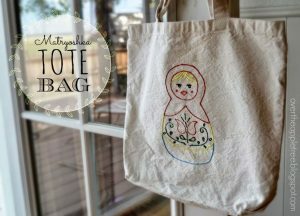 Pick a cute cross stitch pattern and transfer it to your tote! 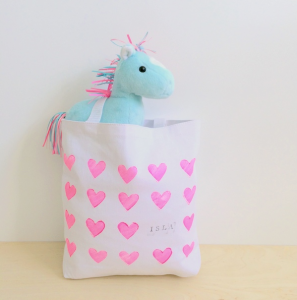 My canvas tote bag DIY resources came from these easy craft sources!